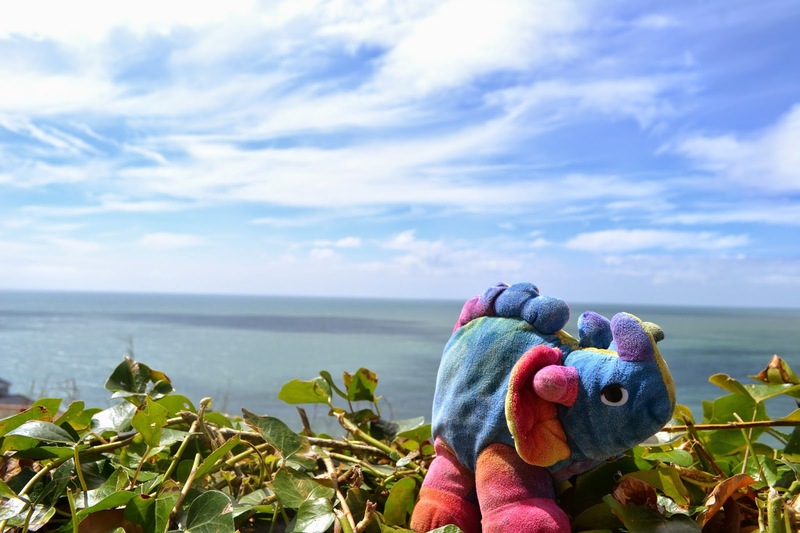 The Isle of Wight has been luring me for some time - not just because it was named the UK's Dinosaur Capital in 2013, but because in 2011 I read Sarah Young's wonderful blog post called 'In Herzen's Footsteps: A Visit to Ventnor'. 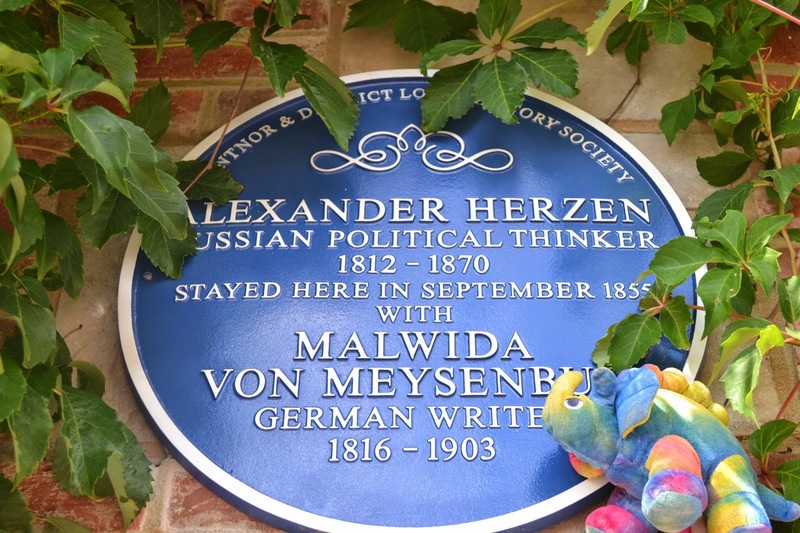 Sarah describes how a chain of chance discoveries led her to spend a weekend in the same early Victorian villa where Alexander Herzen's family party stayed in 1854 and again in 1855 (renting the entire house both times). 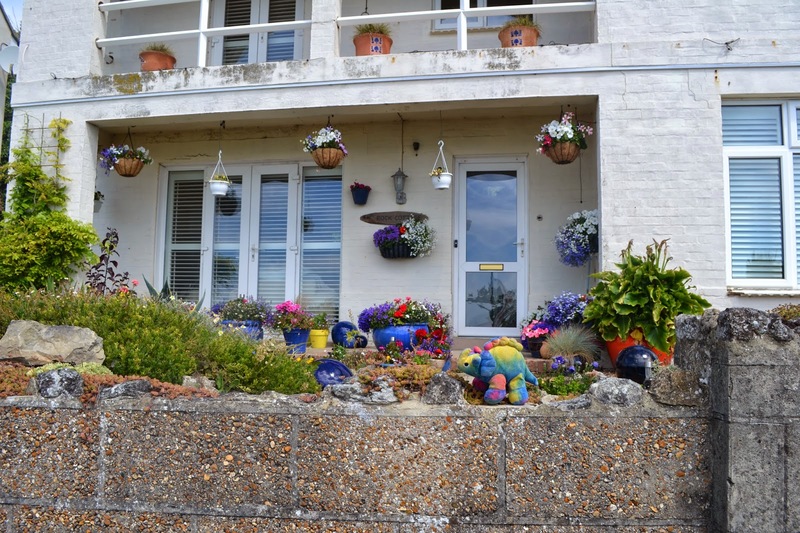 Almost in passing, Sarah mentions that Ivan Turgenev also stayed in the picturesque coastal town of Ventnor in 1860. He would plan much of the plot of Fathers and Sons (published two years later) during his three-week holiday, and the setting for his story Prizraki (Phantoms, 1863) is based on nearby coastal scenery. For the last three years, therefore, I have been anticipating visiting Ventnor for my own spot of Turgenev tourism. One of Sarah's major sources for her post is a 1973 SEER article by Richard Freeborn, succinctly titled 'Turgenev in Ventnor'. (Freeborn enjoyed his Turgenev research so much he based a murder mystery novel on it (reviewed here)). This article is a fascinating account of the minutiae of Turgenev's visit; how Herzen's directions ('haphazard to the point of lunacy') almost ensured that Turgenev never found the island, let alone Ventnor; and how the latter became in summer 1860 a virtual hive of Russian tourists and émigrés, including the influential journal editor Mikhail Katkov, the critic Vasilii Botkin, numerous liberal-minded aristocrats, and Turgenev's personal house-guest, the writer Pavel Annenkov. Turgenev may or may not have been bored in Ventnor, despite the charms of 'freshly mown hay', 'bottle-green waves [...] seaweed-striped sand' he described in letters cited by Freeborn. But he certainly drifted into serious political and social debates with his compatriots. These debates may or may not have helped to define the social antinomies later personified in Fathers and Sons. Annenkov, in his Literary Reminiscences, records that both men were asked by their landlady to leave the first villa they occupied - 'clean and pretty' Rock Cottage on high ground between the beach and the town - because of Annenkov's insistence on smoking strong tobacco. Freeborn ingeniously tracked down corroboration of this move in the relevant editions of the weekly Ventnor Times for August and September 1860. The move that Annenkov reports genuinely did happen; we also learn that the Times ingeniously misspelled Turgenev's surname twice. He was Mr Tourguenett when staying at Rock Cottage, but Mr Tourguenoff after the move to Belinda House on the Esplanade. In answer to your query [...] the house Ivan Tugenev [sic] stayed in is on Ventnor Esplanade and is now occupied by a modern timber style bungalow called "Cedar Lodge". It is located at the Western end of the Esplanade just beyond a turning called Alma Road. You could not find the plaque because The Heritage Museum have it as it was damaged in last winters storms. Now awaiting repair. When it was in position on the property it was on the side of the building and not so easily seen. This was at the request of the owner. One wonders about this bashful proprietor. True, minds do exist (mine among them) for whom finding Turgenev's holiday lets in Ventnor is at least as exciting as locating Julia Roberts' mansion in Beverly Hills (and also less likely to be patrolled by uniformed security). Yet it's somehow hard to imagine daily crowds of gawking 'Bazarov Trail' tourists with 'Rudin Rules!' T-shirts forcing the freeholders of Cedar Lodge to adopt evasive measures.